I finally got my ipsy bag! It mailed to our old address so the hubby had to get it for me. This month’s theme was “dreamers” and the bag itself is so cute! I think definitely one of my favorite! Like my best friend said “Ipsy knows you!” So of course I was super excited for a new brush. I’ve never purchased any Crown brushes but I have purchased a cream contour kit from them and enjoyed it very much! 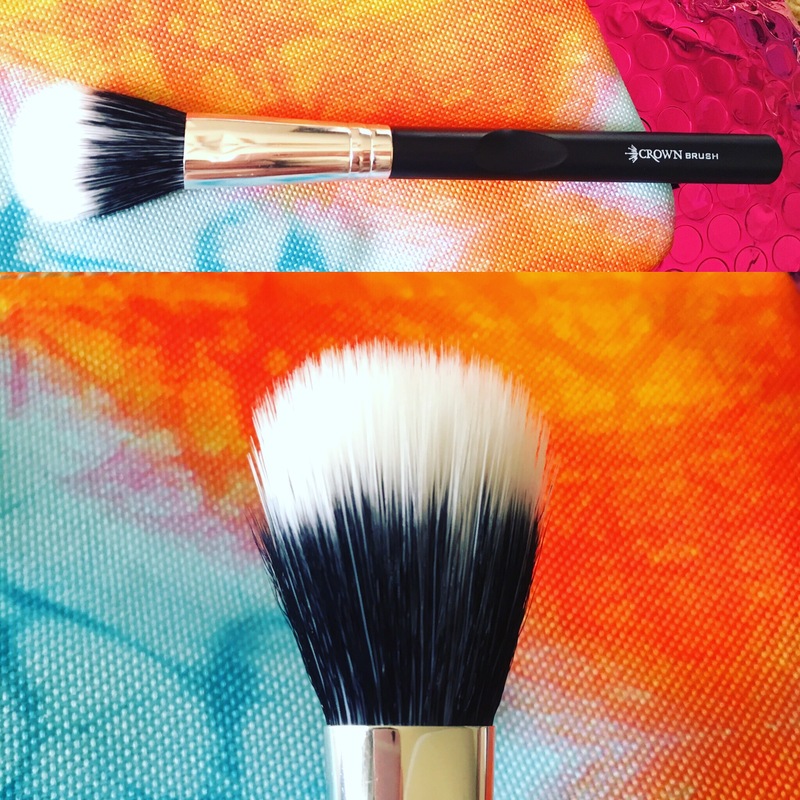 This is the C427 Duo Fiber Blush Brush. This brush retails for about $10 on their website. 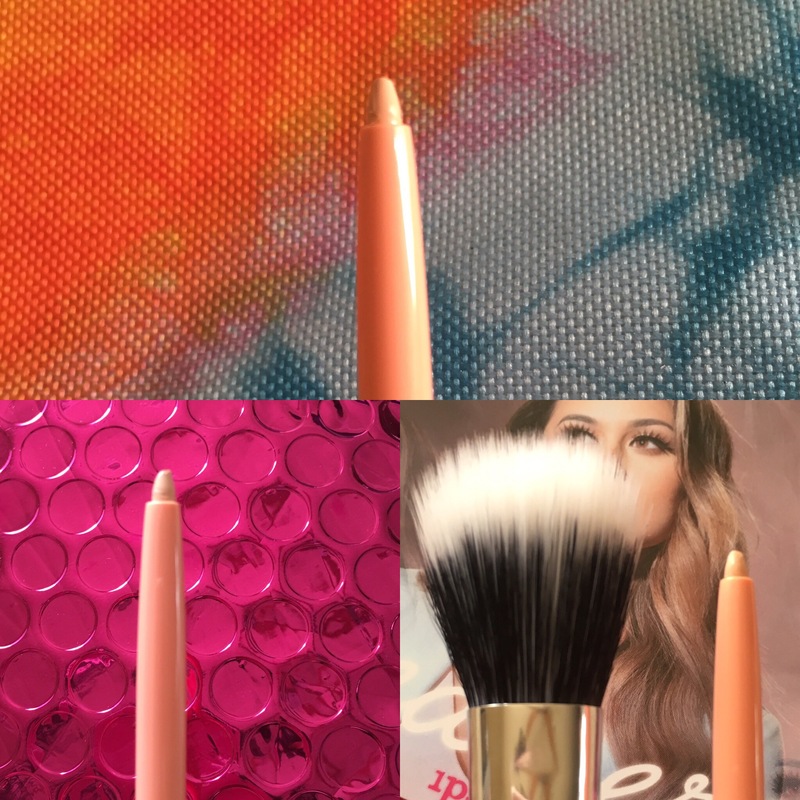 I like these type of brushes to stipple in my concealer and to apply blush and highlights. As you can see I was having a hard time capturing the true color of this eyeliner. This pencil is by Skinn Cosmetics and this is the Bright eyes Eye enhancing Eyeliner. If like me you’re a bit more on the tanned side than you’ll notice using a white liner in the water line may look kind of odd. For a long time I’ve been searching for a different shade that isn’t white and had settled for a gold so I am soooo happy I received this specific color liner. This eyeliner retails for $18 so I mean COME ON! Two products already payed for the $10 fee. 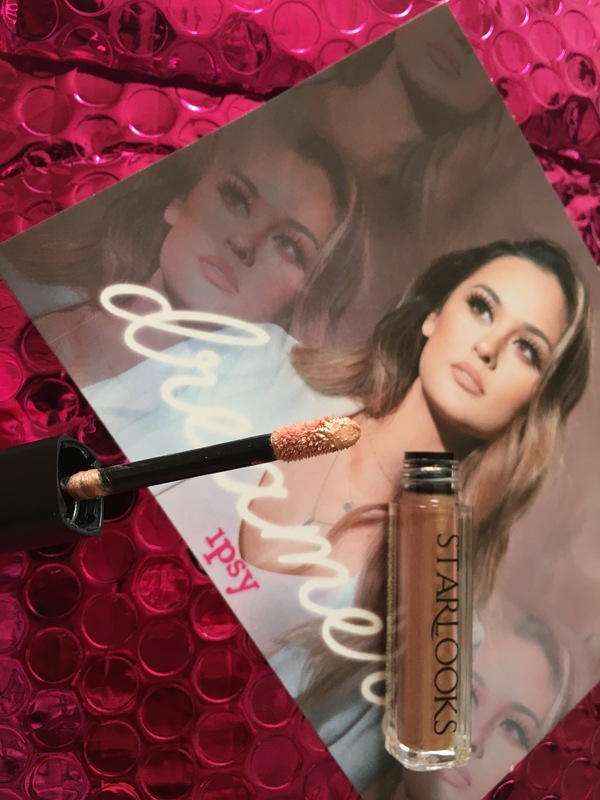 Next up is this cream eyeshadow by Starlooks in Rose Gold. I haven’t tried this shadow but I am so stoked. Golds make my eyes look a bit lighter so I love these type of shades. I did swatch it and it goes on so smooth and bright. I don’t think I have ever tried a Tarte lip product so I was excited for this. As soon as I saw the shade I knew it was something I can carry around in my purse for pops of color whenever I need it. This is their LipSurgence™ lip crème in Wonder. As we all know Tarte is cruelty free, yay! Perfect your pout! Swipe once for a sheer wash of color, or build for more intensity. P.S. It also doubles as a cheek color! Apply to the apples of cheeks and blend for a radiant flush of color. (From the Ipsy Website). I’ve never been big on hair products I don’t know why, just never have. So I wasn’t super excited for this product Moroccanoil Moroccanoil treatment. However I have found some hair products I genuinely like through Ipsy so I’ll give it a shot. Shine on! 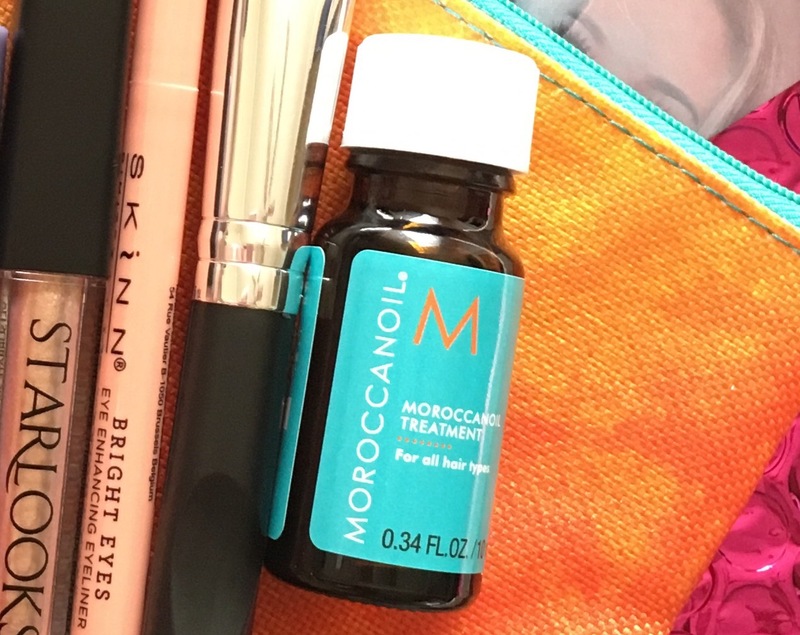 It’s the original – and best – argan oil treatment that’s won countless awards for its insane hair-perfecting power. Just one use transforms lackluster locks into the super shiny strands of your dreams. It’s also a magical multitasker – the all-in-one product works overtime to condition, style and finish your hair. (From the Ipsy website). Overall, like always I am pleased with my monthly Ipsy bag. In the past there’s been some fails but I’m glad I waited it out. 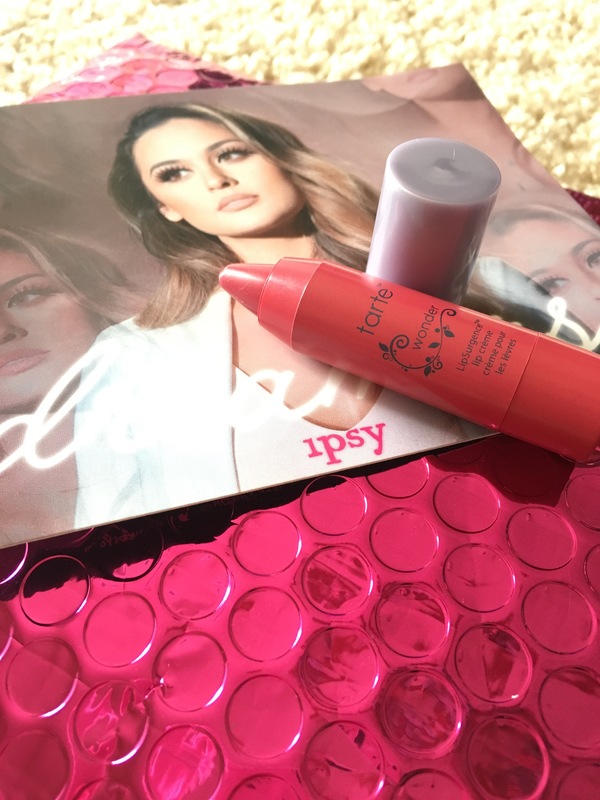 If you’re interested in an Ipsy subscription in this post I describe what it’s like and how it works. Were you pleased with this month’s bag?! Lucky!! I wanted the luxie brush but this one works awesome for applying highlight. I used it today!